PANAMA CITY, Panama. On a rain-filled night at the Estadio Rommel Fernandez, Mexico and Panama played out to a 0-0 draw despite Panama dominated the match. Mexico looked to put it stamp on the game early. 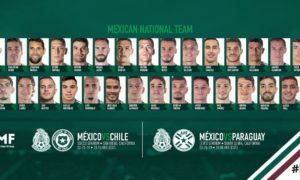 But it was the hosts who pressured El Tri early and created managed to force Memo Ochoa into a save in the eighth minute. And the Canaleros continued to force the Mexico midfield and attack into mistakes, as they tried to build and regularly created chances during the opening half off of the counter. One such example of how Panama overwhelmed Mexico tactically came in the 25th minute, when Giovani and Marco Fabian played themselves into what looked like a 2-vs-5 trap with no options outside. Panama recovered the ball and were able to create a quick counter that nearly found its way into the goal. 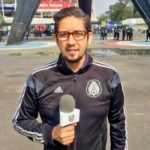 The best chance of the first half for Hernan Dario Gomez’s side came in the 29th minute when Ochoa was forced to make a save on the shot by Alberto Quintero. Javier Hernandez had a shot on goal a couple minutes from the end of the opening half, but his hot, the only shot a Mexico player took on goal. In the second half, things did not get much better for El Tri. Almost right away Guillermo Ochoa was forced to make a save on the shot from Blas Perez. 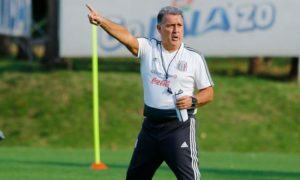 The Vancouver Whitecaps striker dismarked several Mexico players on the counterattack and tried a shot from distance from the right. However, Guillermo Ochoa parried away Perez’s shot. Mexico continued to struggle to adjust to Panama’s pressing, trapping, and counterattack, even as more attackers came on. In the 79th minute, Guillermo Ochoa had to be on the defensive again to stop a point-blank chilena from Panama and Juan Aurich striker Luis Tejada. Panama had another chance on a 3-vs-2 press-turned-counter a few minutes later, but debutante Tony Taylor could not finish it off as his shot went wide of the mark. 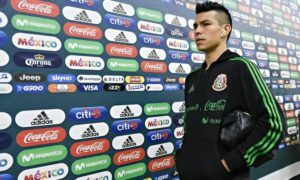 The draw meant that Mexico (1-1-0, 4 pts) still hadn’t beaten the Canaleros in Panama in World Cup qualifying since 2000, and that El Tri finished the opening fixtures of the Hexagonal in a tie with the Canaleros (1-1-0, 4 pts) for second place. Mexico is ahead only on goals scored. The match concludes El Tri‘s 2016 calendar. Their next World Cup qualifier comes on March 24, 2017, when they host Costa Rica (2-0-0, 6 pts). Panama travels on the same day to Trinidad and Tobago to face the winless Soca Warriors (0-0-2, 0 pts).